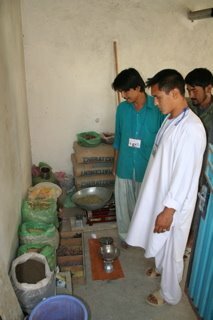 >Bringing Economic opportunity to the Hazara people. 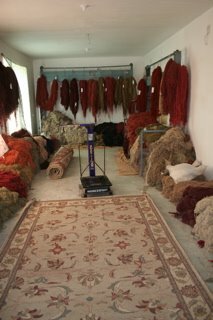 We visited carpet weavers in their homes and learned all about vegetable dye techniques and hand spun wool. I designed my first of what will soon be many carpets and taught about trends in design and colors. 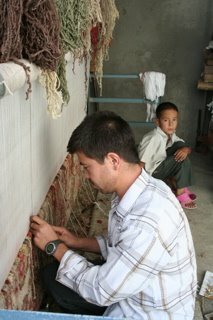 We also spent much time talking about logistics and transportation of carpets out of Kabul to the US. We all were amazed and impressed by those who had done so much on this project in the first year and look forward to a continued partnership working to improve livelihoods and income to the Hasara carpet weavers. We also talked about computer programs capable of designing rugs, marketing plans and art supplies needed there. My only regret is that I didn't bring a rug home with me. They were amazing, but I probably should unpack boxes in Orlando first.